It’s almost time for the new school year to begin. As parents start to prepare, it’s important to consider back to school food safety if you pack lunches or snacks for your child. The government is offering tips on keeping your children safe from foodborne illness. It’s important that you always use an insulated carrier to pack the food your child takes to school. If the lunch or snack contains a perishable food such as meat, eggs, cheese, or yogurt, always use at least two cold sources in the insulated carrier. 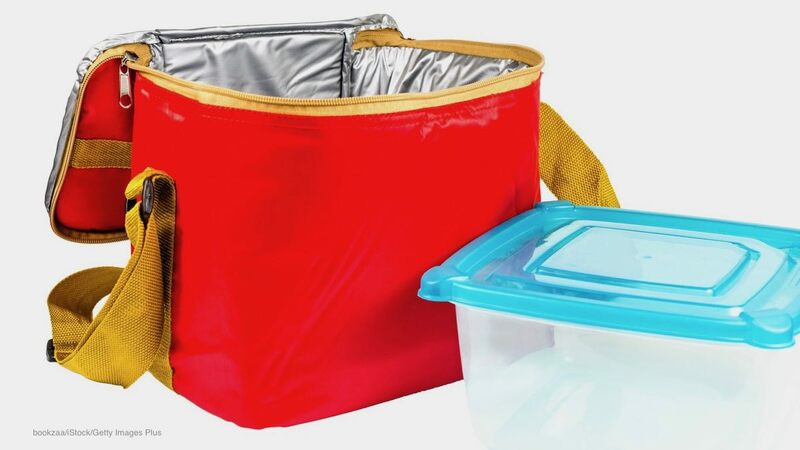 You can use commercial freezer packs, frozen juice boxes, or frozen water containers. The last two will thaw in time for lunch while it keeps the temperature in the carrier below 40°F. Never use a paper bag to pack lunches or snacks for your child. Perishable cold foods can become unsafe to eat if held above 40°F for two hours. That safe time period shrinks to 1 hour if the ambient air temperature is 90°F or above. Back to school food safety is also true with hot foods. Any soup, chili, stew, or casserole should be placed in an insulated container to keep it above 140°F. Fill the container with boiling water, let it stand for a few minutes, empty it, then add the food that is at least 160°F. You can pack a lunch or snack that contains cold food the night before, but don’t put it into the insulated lunch box until that morning. The meal or snack will stay cold longer because everything will be well child when it’s put into the lunch box. You can pack the food into the insulated container the night before, but leave the container open so cold air can circulate around the food. If you are packing snacks for a team, scout troop or group, keep perishable foods in a cooler with cold packs or ice until it’s time to eat. Pack snacks in individual bags or containers. Don’t have the children share food from one serving dish, because pathogenic bacteria can bee transferred person-to-person. Finally, pack disposable wipes for washing hands before and after eating. And tell your child to discard all leftover food, paper bags, and used food packaging after the lunch or snack is eaten.